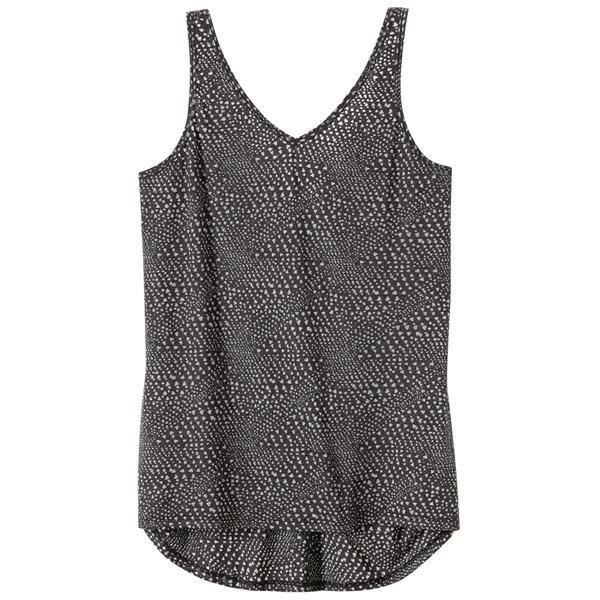 The Prana Abbie Tank is a versatile studio style. A relaxed fit and lightweight material go comfortably over the bra of your choice, and a dropped back hem provides flattering coverage. A sustainable blend of recycled materials and organic cotton is fair trade certified, supporting better working conditions for the factory workers who make it through investment of a premium of each item sold into social development projects. I bought this top because I needed more cute, athletic clothing. I am now obsessed with it and the brand Prana. 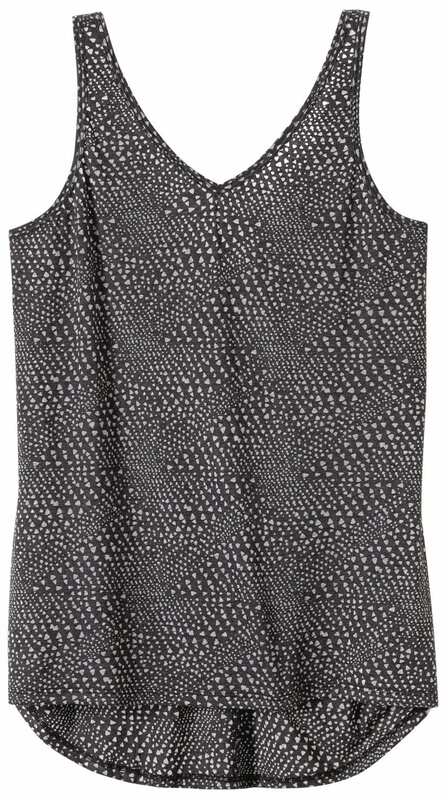 The print is cute, the fit is nice and light, and the materials are soft and sustainable. I wear it outside of the gym/studio, too. Athleisure for sure! !